Hi the problem I have with jdownloader is that because it is a java based program the memory leaks are incredible, I have 4gb of ram, however after 2 hours of use my ram useage goes from 30-35% to 60-65%. So Im fedup of jdownload and really need an alternative to Jdownloader. Jdownloader, the world famous free download manager, is designed for the masses to download files and split files from one-click hosting sites like Rapidshare, Megaupload, etc. with fast speed. Having said that, it still has many a side needed to be improved and tackled, such as the memory occupation issue, built-in adware bothering, rough-and-ready downloading quality and more. Hence, scads of users resort to seek for Jdownloader alternative to avoid the above mentioned troubles Jdownloader causes. But what is the best alternative to Jdownloader on earth? Follow the guide with a desire to let you find out the best suitable one for you with zero efforts involved. 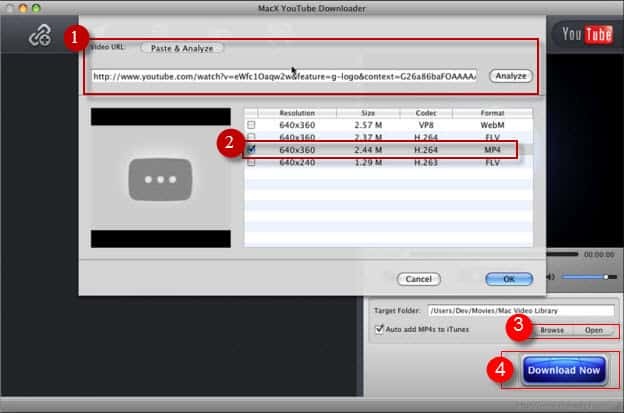 MacX YouTube Downloader is all you can desire from a download manager: it features an advanced accelerator that increases speed up to 36X faster and it allows you to download any YouTube video and download several YouTube at one stroke. What makes it tower above its competitors lies in its amazing feature to downloading online video audio in FLV, MP4, AVI, MOV, MKV, 3GP, MPEG, WMV, WebM MP3, etc. format, and the HD YouTube video in 720P, 1080P, 4K Ultra HD, 3D, 2D from over 300 video audio sharing sites, like YouTube, Facebook, Dailymotion, Vine, Vimeo, Vevo, Soundcloud, etc. without any significant quality loss. This downright free YouTube video downloader app can be quickly downloaded without any adware, spyware or malware and merely 512 MB RAM required. Talk about DownThemAll, talk about one of the best alternatives to Jdownloader. 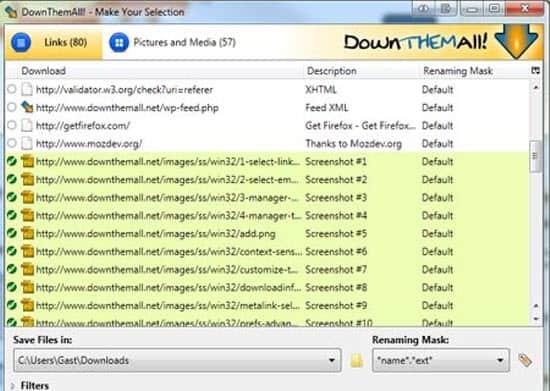 DownThemAll isn't a standalone free software to download all the links and images from the webpage. 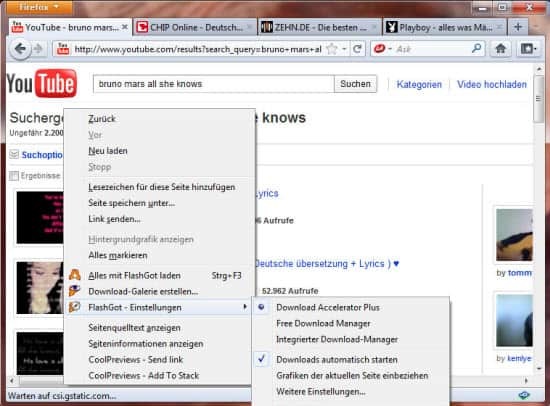 Instead, it's a mozilla Firefox add-on that completely integrates with the browser. Its user-friendly design and enhanced faster speed makes it edge in to the best download manager lineup. With this fabulous downloader, you can tweak your video downloads by fully customizable criteria to get only what you really want! Formerly called Geturl, Wget, derived from World Wide Web and Get, is a free utility for non-interactive download of files from the Web. This tool supports HTTP, HTTPS, and FTP protocols, as well as retrieval through HTTP proxies. What impresses the user most is that Wget outshines other alternatives to Jdownloader in its robustness over slow or unstable network connections. In case a YouTube video download does not complete due to a network jam, Wget will automatically manage to continue the download from where it left off, and repeat this until the whole file has been retrieved. Yet a fly in the ointment is that during the larger files downloading procedure, the downloading speed will be comparatively slower than the former mentioned two, so you need to wait patiently. Boasted for downloading anything, replay anytime, FlashGot, the free yet open source add-on for Mozilla Firefox, is meant to handle single and massive ("all" and "selection") downloads with several external download managers. Recently improved its FlashGot media, this reliable Jdownloader alternative enhances its Youtube HD movies detection ability such that the FireFox users can let FlashGot automatically detect the HD YouTube video without any copying and pasting actions joined. But one thing to note is that its longtime Flashblock compatibility issue existing in Youtube still needs to be solved throughly. Select the media player to play back your downloaded video, Kmplayer or VLC? As the must-mentioned Jdownloader alternative, uGet is a lightweight and full-featured download manager for you to download files and videos from YouTube, Vimeo, Metacafe, etc. Localized into over 25 Languages, its numerous features also include, but not limited to, Pause/Resume, Multi-Connection, Mirrors (multi-source), Multi-Protocol, Advanced Categorization, Batch downloads, Speed Limiting, Total Active Downloads Control, and even more. No wonder it's widely regarded as the Swiss Army Knife. Well, you see, this smashing app is specially tailored for Linux and Windows. Consequently, if you are running on Mac OS X, you have to kiss goodbye to this feature-rich download manager and look at somewhere else. Have found out the best Jdownloader alternative? If you are still in two minds, okay, let me give you some advice. On the event that you wanna have an awesome program to download any video from YouTube for offline playback on your iPhone iPad Android devices, MacX YouTube Downloader is the optimal choice for you since it's easy to use and supports you to download even 4k video from YouTube, Facebook, Dailymotion, Myspace, Myvideo, Vimeo, etc. with highest possible quality reserved and world's fastest speed thanks to the Intel Quick Sync Video hardware acceleration tech supports. If you are a FireFox user and don't plan to waste time and energy to download any other download managers, DownloadThemAll and FlashGot are up to scratch. For those who aspire to look for the software capable of overcoming the bad network, which one can top Wget? And of course, in case you are going quest of the best download manager for Linux, UGet is out of this world with no gainsaying. Tips: After downloading files and videos from online website, like YouTube, supposing you also want to convert the downloaded YouTube video to MP4, MOV, AVI, WMV, etc. or directly transfer the video to iPhone 6s/Plus/6/6 Plus/5S/C/5, iPad Pro, iPad Air 2/mini 4 Retina, Galaxy S7 edge/Note 5, HTC 10, Surface Pro 4, Amazon Fire Phone, etc. for watching on the move, the advanced version MacX Video Converter Pro can address your needs without any labor from you. Ultimate free video download manager for you to freely download any video from YouTube, FB, Dailymotion, Vimeo, etc. to Mac platform. This best Jdownloader alternative is capable to download all YouTube video in whatever format or resolution, including MP4, WebM, FLV, 3GP, MOV, even YouTube HD (4K) video, so that you can watch YouTube video on any portable device on the move without struggling with bad network connection.